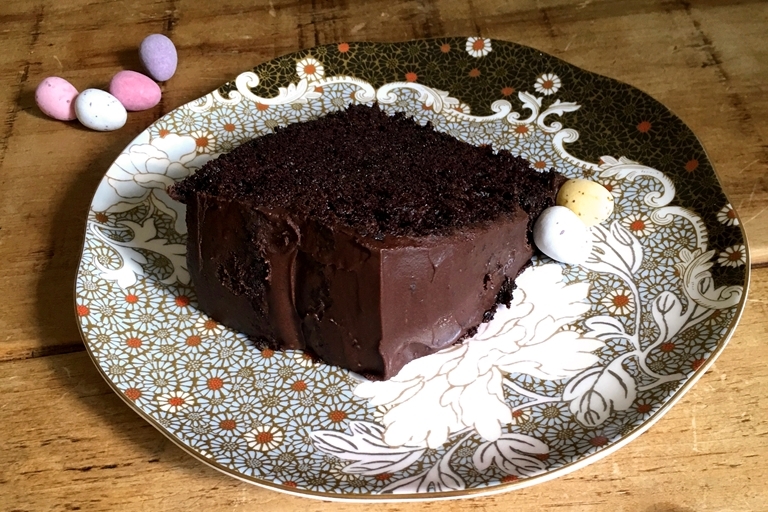 This rich chocolate Easter cake recipe from Kate Doran make a real crowd-pleaser, just the bake to have at hand for Easter weekend. The best chocolate cakes are rich, dark and deeply chocolaty. It’s tempting to melt mountains of the stuff to achieve the requisite decadence, but a simple batter made with cocoa is really all you need. Here groundnut oil and soft brown sugar add moisture to the ultimate chocolate cake, the whole thing sandwiched together then cloaked in a velvety cocoa ganache. 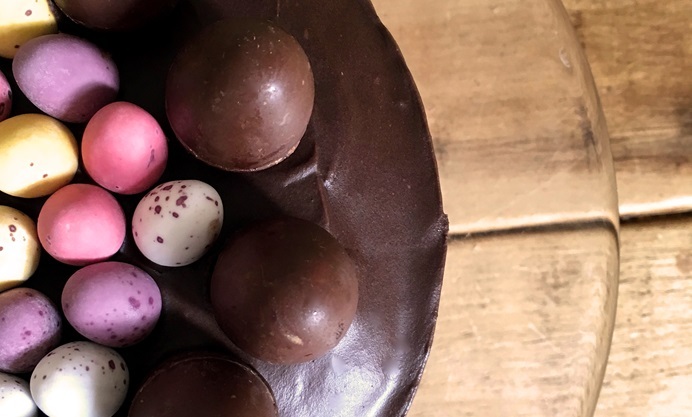 Top with miniature chocolate eggs for the ultimate Easter treat.